I have always loved the salmon. 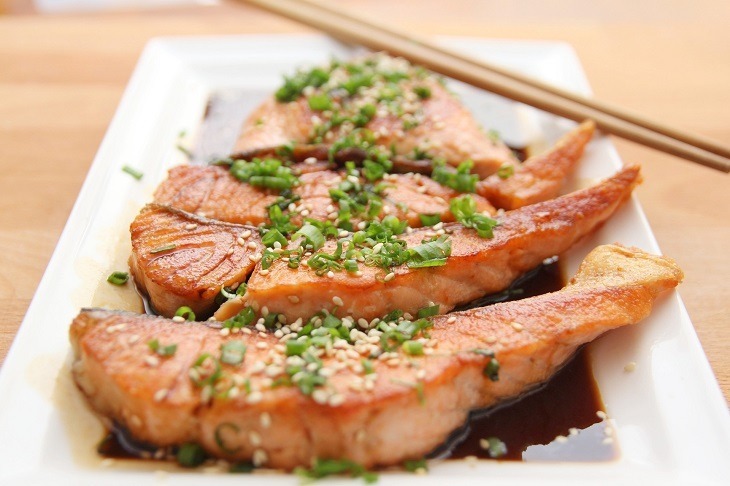 There are several recipes that you can use to cook salmo﻿﻿n. But none can beat the salmon crock pot recipes. The crock pot is also known as the slow cooker. 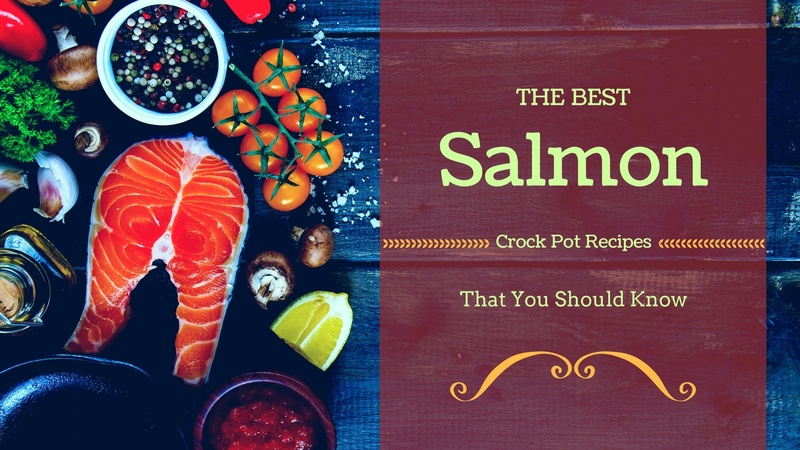 The salmon crock pot recipes are very simple to prepare. When I was searching for different recipes, the following are some of the recipes that I came across. You can try them at home today. The crock pot will do everything. You can easily use different ingredients like vegetables, peppers, carrots and others. Ensure that it is not overcooked. How To Cook Salmon In The Crock Pot? Spices1.5 cups of liquid, water, beer, broth, or a mixture. Cut your salmon into small pieces. You can also cut the salmon into large pieces.Sprinkle the pepper and salt. You can add the spices and rub them with the fingers. Use the spices that are available. Use the aluminum foil to line the slow cooker. Press it properly into the cooker. This will ensure that the salmon is removed from the slow cooker easily. At the bottom of the slow cooker, place the aromatics and sliced lemon there. This will add more flavor. This is optional. Place the salmon pieces in the slow cooker with the skin side facing down. Top with the remain lemon slices and the aromatics. If you want to use them. If you have more salmon pieces, you can add another layer. Ensure that you place an aluminum foil in between the layers before you put the second salmon layer. Top them with the remaining aromatics. You can use water with a little oil, beer, fish sauce, or soy sauce. Pour the liquid you choose over the salmon. Cook the salmon pieces for about 2 hours over low heat. The time may vary depending on the slow cooker you are using, the thickness of the salmon fillets, the number of pieces, and the way you like the salmon done. 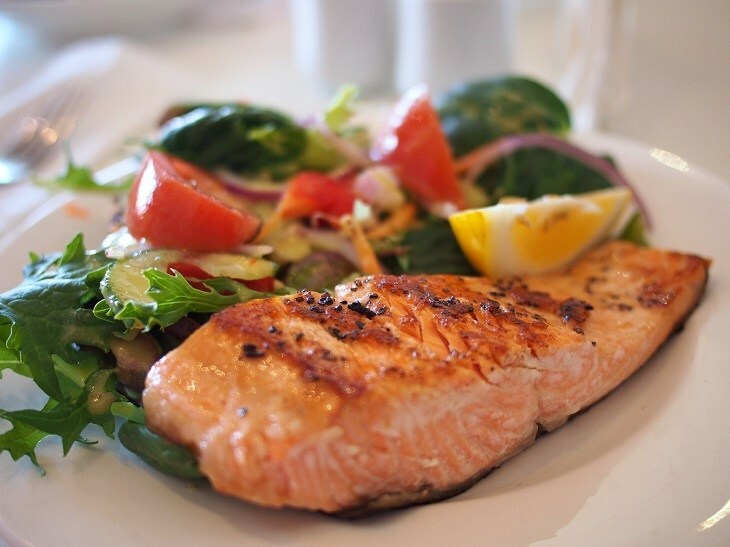 When fully cooked, the salmon should be 145 degrees F.Take your salmon from the cooker by lifting the aluminum foil. You can tilt the foil slightly to drain the liquid that you used. This should be served immediately or you let it cool before it is refrigerated. The leftovers should be kept in a container that is airtight. Use a parchment paper on the base of your slow cooker. This will ensure that the salmon is removed from the cooker easily. Cut the fillets and place them on the parchment paper. Season them with pepper and salt. Drizzle the lemon juice over the fillets and place the freshly chopped pieces of dill. Set the cook on high and cook the salmon for about 60 minutes. Cook the rice and prepare the vegetables nicely. As soon as the salmon is ready, place in a serving dish. The skin should be removed before serving. Serve with the veggies and rice. This recipe is tasty and easy to prepare. The salmon will stay soft and lovely, steamed over vegetables and rice. In a pan, sweat the onion, mushrooms, and the red pepper. This should take a few minutes in the butter or margarine. Put the ingredients in the slow cooker with the vegetable stock. Add the chilli powder and cook them for half an hour over high heat. Add the rice and stir. Cook for 15 more minutes. As you cook the rice, mix the lime juice, soy sauce, and the minced garlic in a bowl. Put the salmon fillet in the sauce mixture with the top side facing down. Leave it there for about 15 minutes. Pour the sauce in the slow cooker and then lay the salmon. Cook for 60 more minutes.When ready serve and enjoy the soft and lovely salmon. In a saucepan, heat the oil over medium heat. Add the onions, thawed artichokes, and the leeks when the oil is hot. Sauté them for about 5 minutes. The leeks and the onions should be soft. Add the parsley and use the salt to season your vegetables. Arrange them at the bottom of the crock pot. Use the salt to season the salmon and arrange it on top of the vegetables. 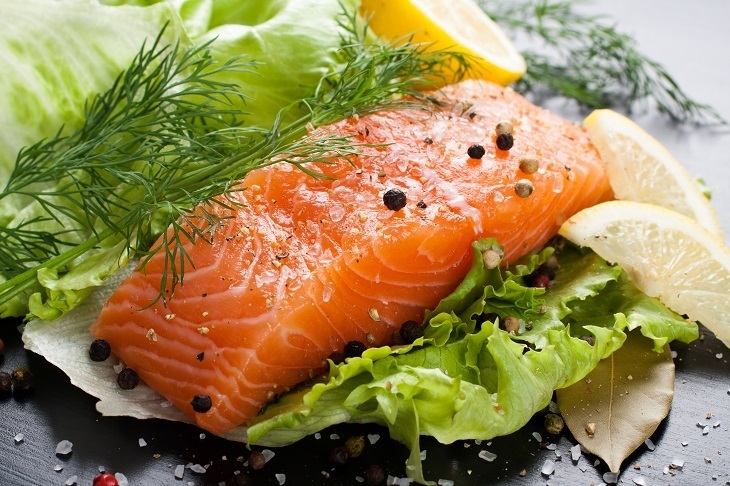 Arrange the lemon and orange slices on top of the salmon. Combine the orange juice, honey, and the chardonnay. Pour it over the vegetables and salmon. Cover and cook for about 45 minutes. Check it and cook it for about 45 more minutes if it is not yet ready. Drizzle the slow cooker with a tablespoon of olive oil at the bottom. Put the sliced onions, potatoes, and the celery in slow cooker. Lay them nicely. Press an aluminum over the vegetables to cover them nicely. The ends of the rim should be extended over the rim. Use the salt and the pepper to salt the salmon. Over high heat, heat the remaining olive oil in your skillet. Brown the fillets in the skillet on one side for two minutes. Heat the other part of the fillet on top of the aluminum foil. The skin side facing down. Add the white wine and boil it. Add water and stir before you pour over the fillets. Set your skillet aside for later use. Cover the slow cooker to cook for about 3 hours on low heat. The filets should flake when gently pressed. 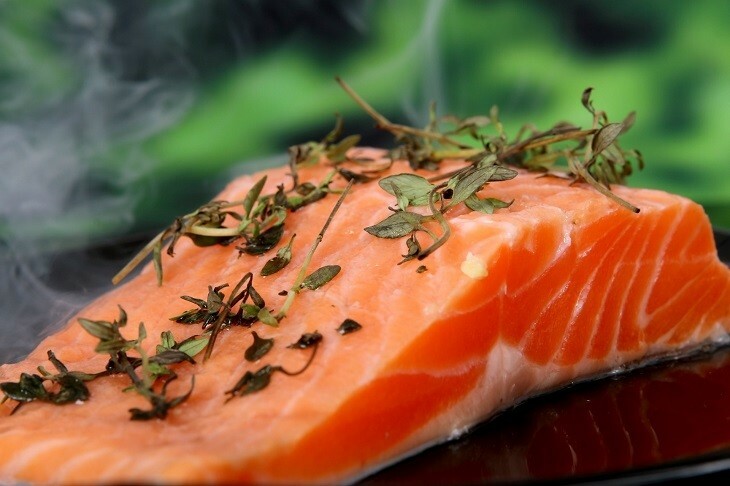 The salmon can stay warm for several hours before it is served. Lift the salmon from the cooker using the aluminum foil. Transfer it to the serving platter. Remove the vegetables using a slotted spoon. Arrange the vegetables around the salmon. Pour the liquid from the cooker into the skillet and boil it over high heat. Add the herbs as soon as the liquid reduces by 0.75 cup and boil the mixture for about a minute. Remove it from the heat and add butter. You can add more salt and pepper according to your preference. Pour the sauce over the salmon and the vegetables. Serve immediately to enjoy. Did you enjoy reading the above recipes? Which one is your favorite? These recipes are very simple and easy to cook. You can easily change the ingredients as you want. The farm-raised salmon are ideal for slow cooking as compared to the wild caught salmon. 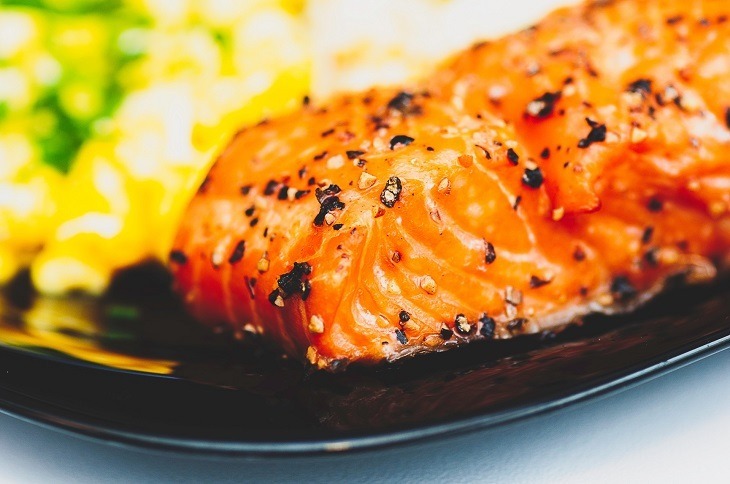 The farm-raised salmon have more fat than the wild caught. The wild caught will dry quickly during cooking. They are ideal for baking and grilling. You can change the vegetables and use what you want. In place of the potatoes and the celery, you can use carrots and the red pepper. 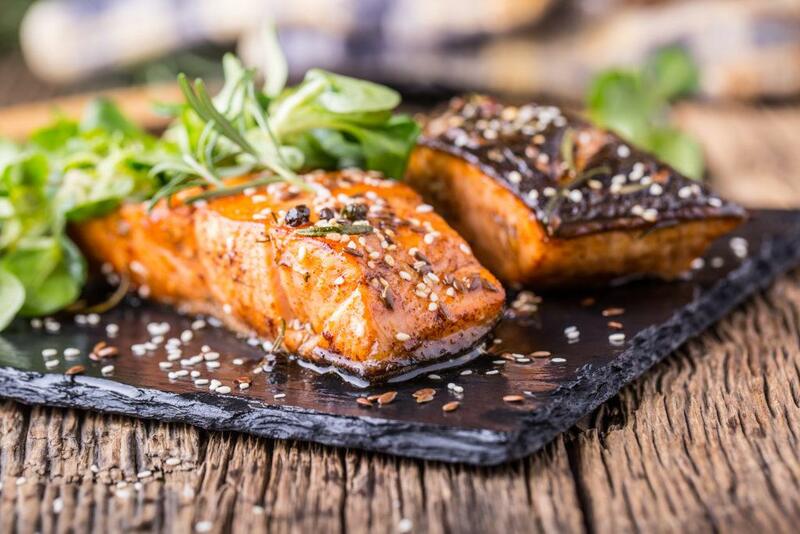 If you enjoyed the above recipes, you can also check the best ingredients that you can use to make salmon skin rolls and the salmon head recipes.